A new effort has been launched to give Milwaukee small business owners office space free of charge. 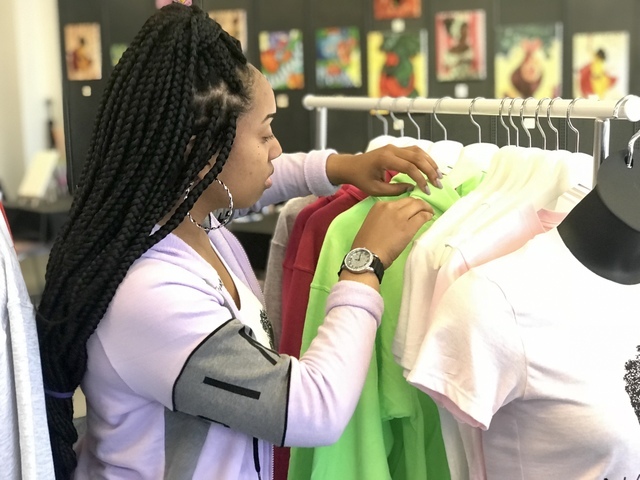 Pop Up Milwaukee lets African-American entrepreneurs put their products to the test in a low-risk environment. At 3rd and North, two young entrepreneurs get to see what it's like to have a brick and mortar business of their own for a month. Inside Beloved Masterpieces LLC, colorful artwork covers the wall. "I sell pieces that seek to uplift the black community with images of royalty, crowns, maternity...." said owner Lauren Gilbert. Gilbert combines entrepreneurship with her passion. "Every last piece here is mine," she said. All while passing it along to others. 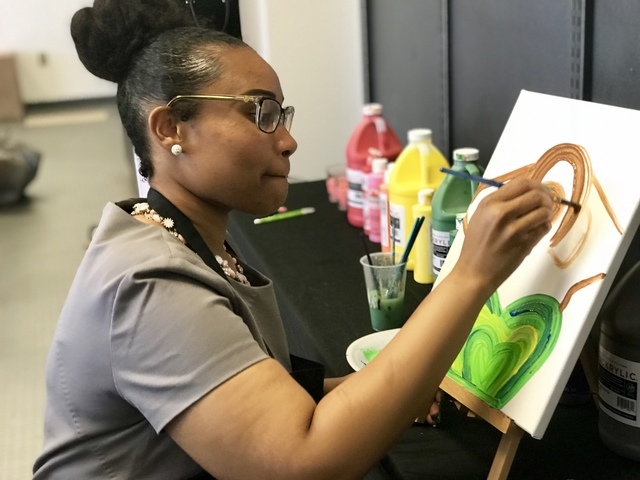 Her community painting studio holds dozens per session. "Right away when people come in they always say, 'I don't know how to paint,'" Gilbert said. "When they leave, they feel at peace and they feel like they created something beautiful they can hang on their walls when they go home." On the other side of the room, customers can find clothing with a message. "As black women, we aren't always affirmed in the way we should be and that makes self-love very difficult," said Natural-e Beautiful owner Imani Ray. Ray got the idea back in high school and she built a website. Now she's inside her own store reminding African Americans they're naturally beautiful. "I've seen hundreds of people come through this door, make purchases and support this brand that in the long run benefits them because it's supporting who they are naturally," Ray said. Both Ray and Gilbert are learning each day on the job. "It's the planning, the budgeting, the marketing, the way you interact with customers," Gilbert said. "I could have never imagined that at 21-years-old, I would be in a position where I'm working in a store, not a store, my store, that's really, really, really exciting for me," Ray said. 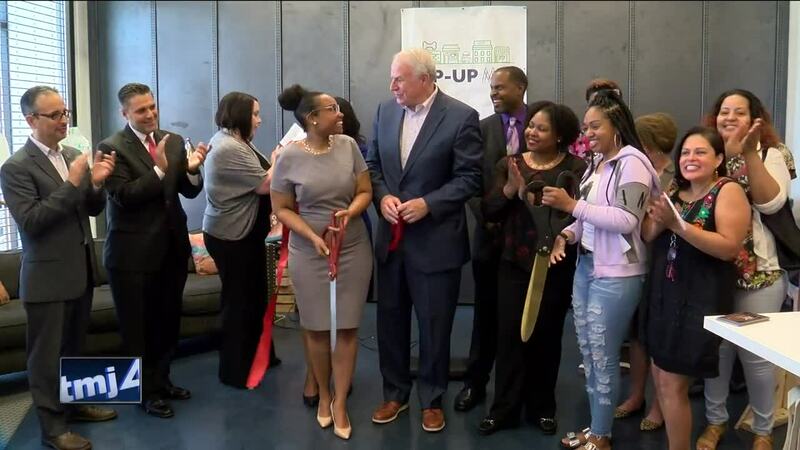 Pop Up Milwaukee chooses six new entrepreneurs a month throughout the summer to have the same opportunity.